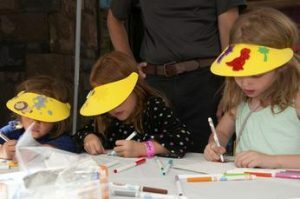 The Children’s Art Center is a popular activity at the Fair where children are encouraged to explore their creativity under the guidance of Women’s Club volunteers. 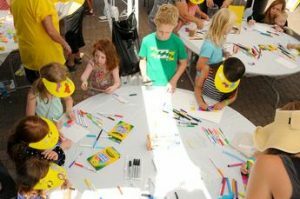 This year the Children’s Art Center will be open from 10 a.m.-12:30 p.m. Friday, Saturday and Sunday in The Village, giving Mom and Dad a chance to explore the Fair while their children are supervised and having fun on their own. The Children’s Art Center is sponsored by Bennington Properties.